To say that Ali Akman is an experienced businessman would be a significant understatement. The president of Samm Developments also co-founded parent company Akman Holding Co. with his father in 1981. In that role, Akman has overseen the company’s involvement in a variety of industries including foreign trade, food and juice production, automotive, hospitality and construction. He’s also seasoned in the world of real estate, having developed projects in many other parts of the globe, including Turkey where he built the country’s first condominium tower in 1999. 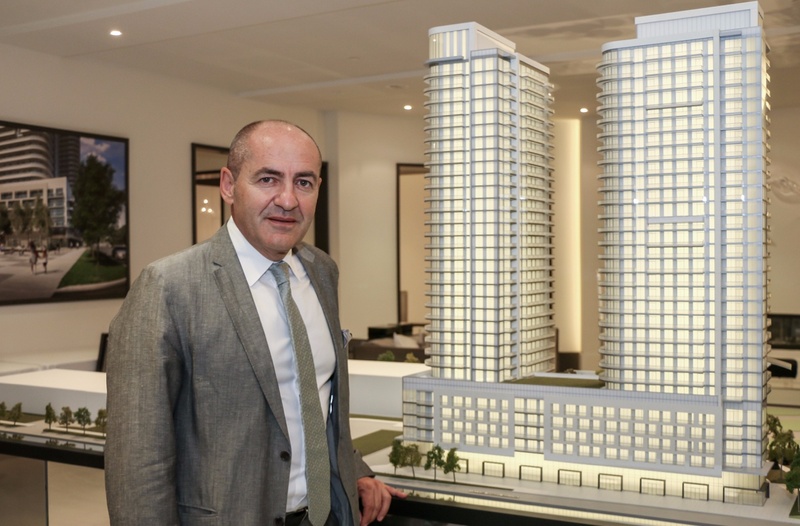 Akman is now bringing his wealth of knowledge and experience to the Canadian market with the launch of The Kennedys Condominiums in Toronto. 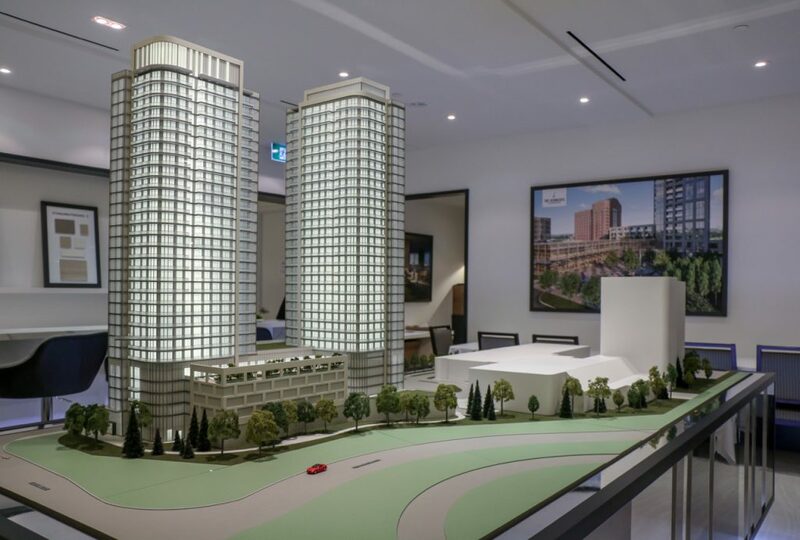 The ambitious four-tower complex will form the residential component of a large master-planned community that will ultimately include residential units, retail spaces and a renovated Delta by Marriott Hotel — one of three GTA hotels owned by the company. BuzzBuzzNews recently caught up with Ali Akman at The Kennedys presentation centre at 2035 Kennedy Road to learn more about the project and his plans for the future. BuzzBuzzHome: Can you tell us about Akman Holding Co.? When was the company originally founded? Ali Akman: Akman Holding started in 1981 in Turkey as the Akman Foreign Trade and Contracting Co. Inc. As the company grew we diversified and entered into different industries and sectors through joint ventures and partnerships which lead to the creation of Akman Holding Co. Inc. in 1998. One of our core businesses is production of fruit juices and concentrates. We own five production plants and we are one of the world’s leading producers. Our second division is hospitality. We own five hotels with two in Turkey and three in Toronto. In Toronto, we own the Delta Hotel by Marriott Toronto East, the Sheraton in Waterloo and a Travelodge in Oshawa. We also own a construction company which we’ve used to build skyscrapers, shopping malls, hospitals and commercial buildings in many parts of the world, including Turkey, Argentina, Iran and China. BBH: You’ve also been involved in the local real estate industry in Ankara, Turkey. Can you describe those projects? AA: Akman Real Estate has had a large presence in Turkey. We actually built the first skyscraper and condominium project in the country in 1999. It was a 32-storey project with 222 flats and it sold out very quickly. We also developed the Akman Emporium shopping centre, a large medical complex and many other commercial real estate projects. BBH: Your company is now expanding its real estate portfolio to Canada with the launch of The Kennedys Condominiums by Samm Development. Why did you want to expand to Canada? AA: First of all, Canada is a very stable country. If you look at the last 15 years, there’s been consecutive growth in real estate and hospitality every year whereas other trendy markets like Dubai and Istanbul have seen a decline. Secondly, there is quite a bit of immigration coming into Canada every year so there is a lot of new people with certain classifications and wealth with them. This is bringing a lot of money into the country while simultaneously increasing the need for housing and places to stay. BBH: Why did you choose Toronto and this particular location for your first residential project? AA: We chose Toronto because it’s the hottest market in Canada with a booming real estate sector. 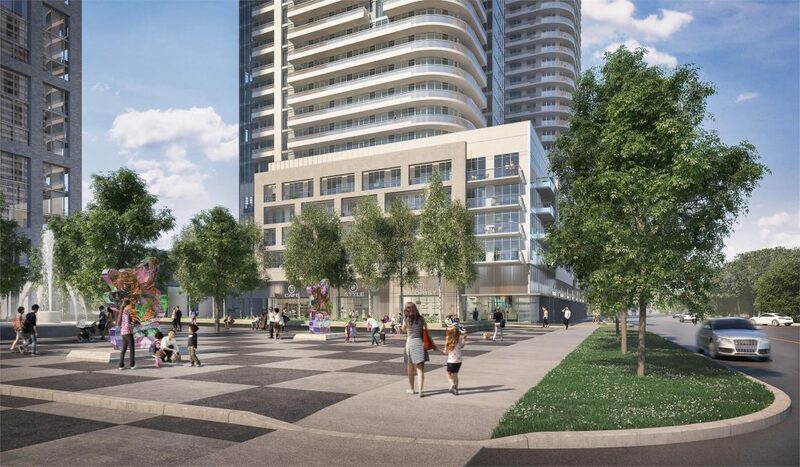 The location of the project is already an established neighbourhood with very nice parks and amenities like the Scarborough Town Centre, the Ontario Science Centre and even the Toronto Zoo nearby. So there’s quite a bit of entertainment venues and attractions in this area. Transportation options in the area are very good with Highway 401, the DVP and Kennedy Road just minutes away. The public transportation in the neighbourhood is also excellent with the TTC and GO Transit easily accessible. BBH: What do you want to achieve with this project and is there any significance to the name? AA: What we want to achieve here is to create something different in Toronto. We want to create a community with large open spaces with trendy social gathering spots. A place where people can spend time outside and socialize with friends and neighbours. To do that, we were inspired by the public piazzas of many European countries. Our project is going to have a nice landscaped piazza with lots of trendy cafes, restaurants and public art pieces and paintings surrounding it. We chose the name for two reasons. First, because Kennedy is the main road where the project will be located and second because the name Kennedy has a very good reputation and carries a certain cache or standard with it. BBH: How many residential buildings will there be in total and who is the architect and interior designer? AA: This being our first project in Canada we made sure to carefully choose the best consultants in their respective fields. There will be four buildings in total designed by Page + Steele IBI Group architects, with interiors by Tomas Pearce and landscape design by Ferris + Associates. The first two towers will be 32 storeys, the third one will be 41 or 42 storeys, and the fourth will be around 23 storeys. BBH: You’ve talked about the European-inspired outdoor piazza. What other amenities will be available? 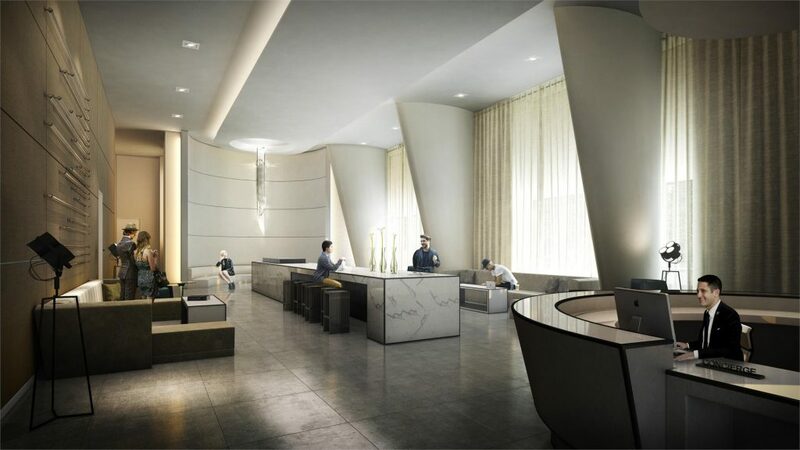 AA: Residents of The Kennedys will have access to a wealth of private, hotel-inspired amenities within the development. They’ll enjoy an indoor pool and hot tub, a wellness centre, business centre with WiFi lounges, and a games and billiards lounge. A grand party room with kitchen will also be available for entertaining guests. BBH: The site is located adjacent to an existing Delta Hotel. How will you incorporate the building into your plan? AA: The Delta Hotel is kind of a heritage building in Toronto so it’s going to stay. The hotel was built in 1950, has gone through several renovations and expansions and is well known in the city. Last year, Delta Hotels was bought by the Marriott Group so the name has changed to the Delta Hotels Toronto East by Marriott. The purchase will see major renovations starting in January 2017 as the Marriott Group brings their own standards to the property. The fully renovated hotel will be a major part of the complex and residents of The Kennedys will be able to use its facilities. BBH: Can you tell us about any new projects coming up the pipeline? Are there any other areas in Toronto that you would be interested in developing? AA: We are looking at developing more projects in Toronto because the local real estate market is so hot. We haven’t determined a specific location yet but we’re looking at different areas including downtown and hope to be able to announce something next spring. BBH: Where do you see your company in 5-10 years? What goals would you like to achieve? AA: I hope to develop some signature projects in Toronto. Something different that hasn’t been done yet. Other developers have gone higher so that’s been done. I’d prefer to do something architecturally distinctive that isn’t cookie cutter.